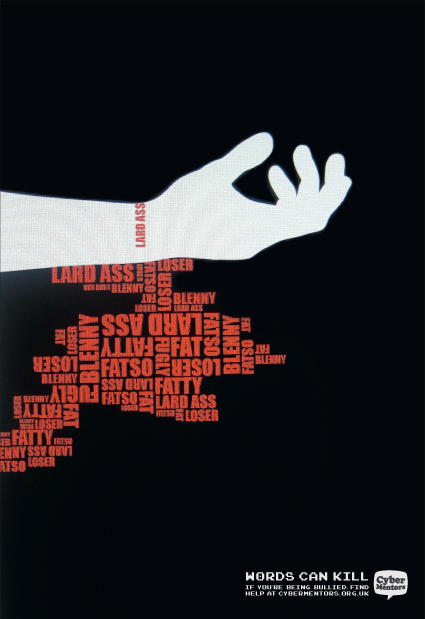 BeatBullying marked the launch of CyberMentors in March 2009 with a UK-wide print advertising campaign warning about the link between text bullying and teen suicide. 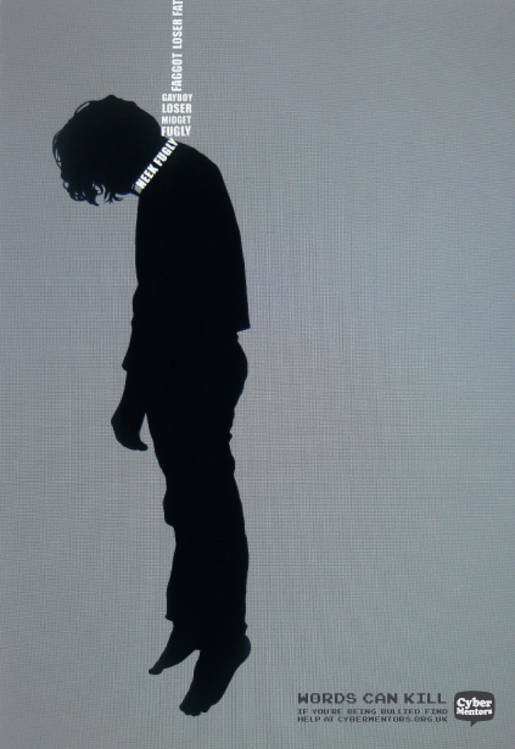 Three images show young people affected by hanging, a slit wrist and drug overdose, in each case portrayed with denigrating words. The campaign aims to promote a new social networking site CyberMentors, as the next step to educate victims that there is help available and for the bullies to understand that they can change. The concept began with a series of detailed focus groups with 11-18-year-old males and females from a representative cross-sample of backgrounds to ask what bullying really is like today both from the victim and bully’s perspective. 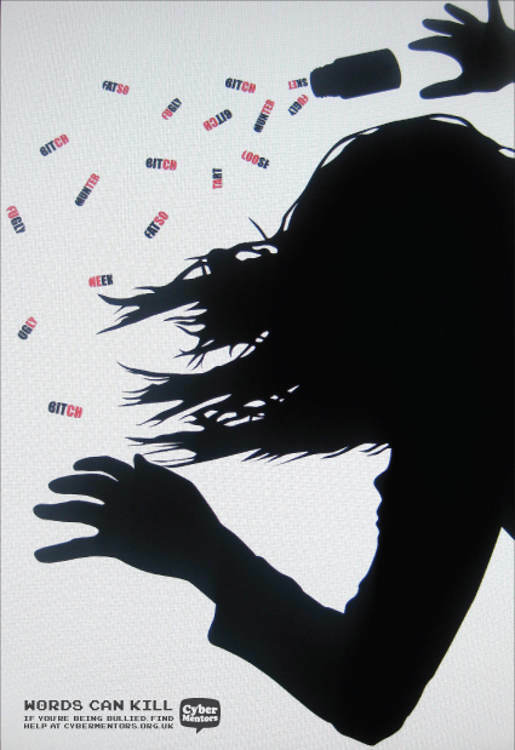 The campaign, which features silhouetted imagery of a young person that appears to have committed suicide from the sustained barrage of bullying taunts in youth language, aims to educate victims that there is help available at www.cybermentors.org.uk, and bullies on what the impact of their actions could ultimately be. CyberMentors, cybermentors.org.uk, is the first nationwide online peer-mentoring social networking site for young people, and is manned by over 700 fully trained CyberMentors and Beatbullying cyber councillors. The Words Can Kill campaign was developed at M&C Saatchi, London, by creative director Graham Fink, art director Alex Taylor, copywriter Orlando Warner, planner Howard Miller, account director Sadie Clark, and designer/typographer Jonathan Muddell, with Beatbullying head of communications Sherry Adhami. Media was handled by Walker Media.